In collaboration with TeamsCode, Team 1540 The Flaming Chickens would like to present the Catlin Gabel Fall Programming Contest 2018. 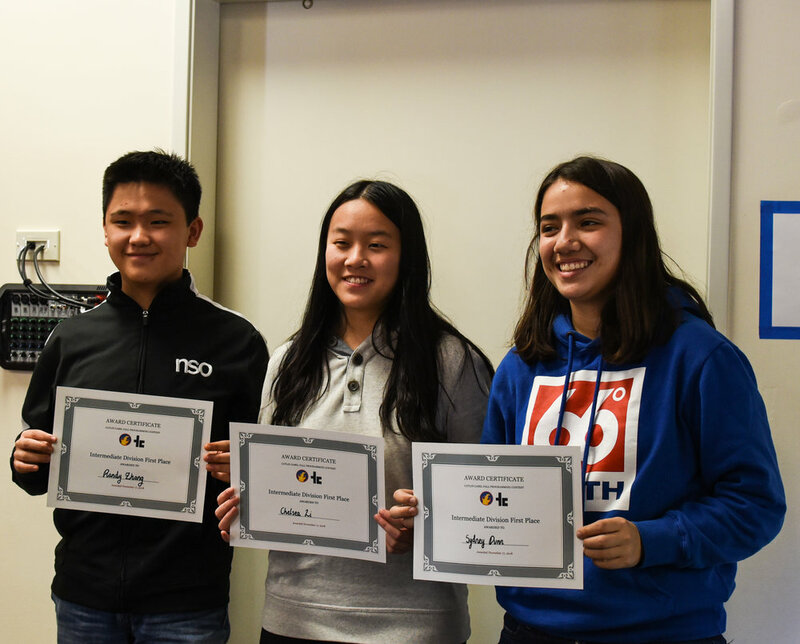 Over the course of six hours, teams of one to three students compete in coding challenges, working with their teammates to achieve the highest overall score. 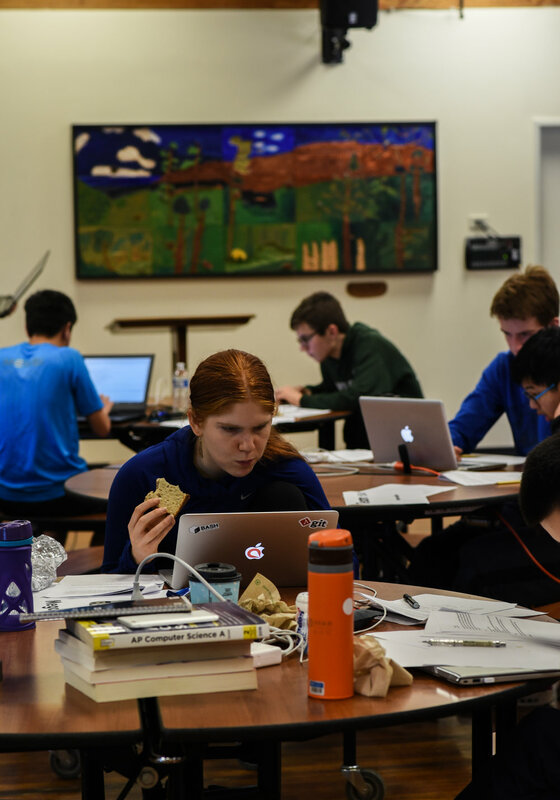 There’s a catch: teams are only allowed to use one computer for their coding. The top three teams will be awarded with money prizes, and all participants will be provided with free lunch. Intermediate: A division for programmers who have recently started programming and/or are in one programming class. Advanced: A division for programmers with more experience, typically having finished one programming class and are fairly knowledgeable about a specific language. Note: These are guidelines, not rules. You may choose to sign up for either division. 9:45: Arrive, check in begins. 10:00: Introduction to rules and schedule, get settled in. 10:30: Practice problem, working with reading input. 12:00: Lunch while the competition goes on. 2:30: Announce winners. Give out prizes. Each team member must be in middle school or high school. Teams must bring a charger and ONE computer that has a USB port and can run code in Java, C++, C#, or Python. If you choose to use another language, you must make ensure that the output will be readable by judges. No internet access is allowed during the contest, but books, printed code, and other paper notes are allowed. The three highest ranked teams in each division will receive prizes. *To be precise, problem N is worth a total of 120 + 10∙N points. Thus, a perfect score is 3000 points. For example, problem 10 is worth 120 + 10∙10 = 220 points. **If a team answers C (0 ≤ C < T) out of T test cases correctly on a problem worth P points, then the points awarded can be given by the formula: 0.5∙P∙C / ( T - 1 ). Thus, there is a large bonus (half the points!) for completely solving the question. ***Every attempt after the first one on problem N will add N minutes to your time score. For example, retrying problem 3 will add 3 minutes to your time score, and retrying problem 15 will add 15 minutes to your time score.